2 methods to use when you want to boot your LG K4 LTE into Safe Mode, where you can further analyze and determine whether some of the 3rd party apps you have is the one causing trouble or not. Safe Mode on LG K4 LTE – A Safe Mode is an indispensable tool that you can use in troubled time. In this case, if you are having some issue with the phone and you want to know where the source of the problem is. 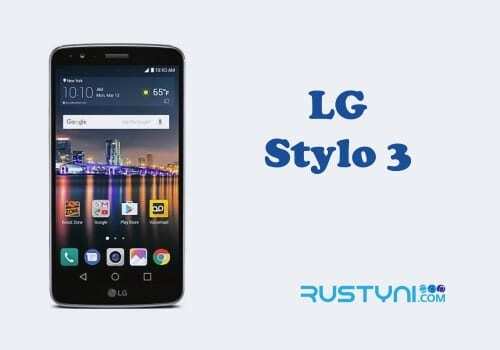 Boot your LG K4 LTE into Safe Mode will let you know if the source of the problem is the 3rd party app you have on the phone or in the Android software itself. How is this possible? In Safe Mode, none of those 3rd party apps is active (disabled temporary). When you don’t experience any of those issues in Safe Mode, you know that one of those apps that cause the problem. But if the issue still present, then you may get problem with the Android software. Right now you need to learn how to boot your LG K4 LTE into Safe Mode. There are two methods that work on different situation and you need to learn both of them. Press and hold “Power button” until “Power menu” appear on the screen. New option “Restart in Safe Mode” will display on the screen. Tap “Turn On” to enter it. Wait until the reboot process to complete, it may take a while up to one minute. Make sure that the device is powered off. If you can’t power it off, pull out the battery and put it back on. Press and hold “Power button” and “Volume Down” button together. Keep pressing until System Recovery menu appear on the screen. You need to use Volume button to move between available menu and highlight “Safe Mode” option. Press Power button to select the option. Wait for the device to reboot into Safe Mode. It may take a while up to one minute. When you successfully boot the phone into Safe Mode, you will find Safe Mode badge written on the bottom left of the screen. You also will find that none of the 3rd party apps in your phone listed, or if it listed it will be grayed out and you can’t open it. Now use the phone like you use to do. Check for the phone as well as the app functionality. Does the issue that occurs when the phone is in normal mode also occur in Safe Mode? If it’s not, then you can hunt for the possible app that caused the issue, disable it or perhaps uninstall it to get rid of whatever issue that plague your phone.